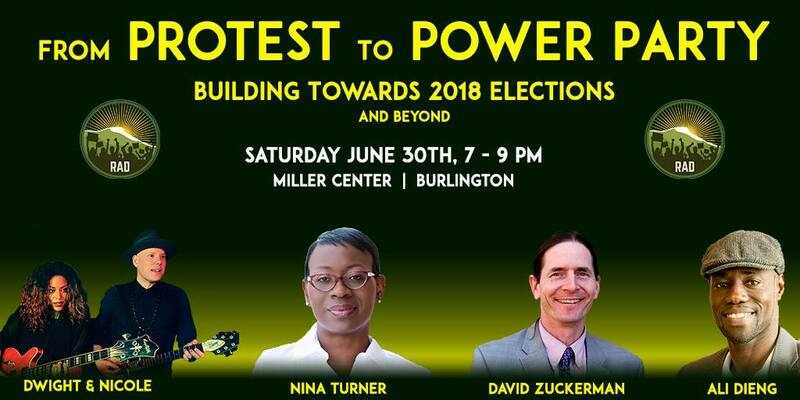 Join Nina Turner, President of Our Revolution, for a lively conversation about how to build the progressive movement in 2018 and beyond. Special guests will include Lt. Gov. David Zuckerman and Burlington City Councilor Ali Dieng. Music by special guests Nicole Nelson and Dwight Ritcher (Dwight & Nicole). Cash Bar. This special, ticketed event is a fundraiser for Rights & Democracy Vermont.